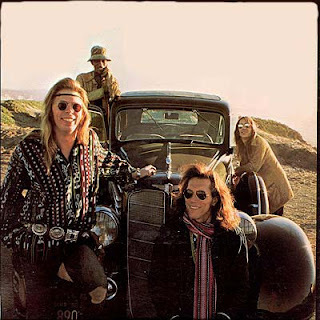 Hot Tuna began during a hiatus in Jefferson Airplane's touring schedule in early 1969 while Grace Slick was undergoing recovery from throat node surgery that had left her unable to perform. Jorma Kaukonen, Jack Casady, Paul Kantner, and new drummer Joey Covington played several shows around San Francisco including the Airplane's original club, The Matrix, before Jefferson Airplane resumed performing to support the album Volunteers. Although Covington had been hired as Jefferson Airplane's drummer, Spencer Dryden continued to perform with the Airplane and Covington was only called when needed. In September 1969, a week of concerts were recorded at New Orleans House in Berkeley and released as a live album in 1970, Hot Tuna. (This album has become affectionately known by the group's fans as the "breaking glass album", because of the sound of breaking beer glasses during the recording of "Uncle Sam Blues".) Jorma's brother Peter Kaukonen soon replaced Kantner on rhythm guitar and Marty Balin joined on vocals for the electric songs. In 1970, RCA paid for the band to go to Jamaica to record their next album, now with Paul Ziegler taking over Peter's spot, but the album was never finished. Papa John Creach was brought in to the band in late 1970 (Creach also joined Jefferson Airplane at the same time) and Jefferson Airplane and Hot Tuna finished their co-tour in November 1970 with shows at the Fillmore East. In September 1970, Hot Tuna performed two acoustic shows without Jefferson Airplane at Pepperland and received good reviews, signifying that Hot Tuna could survive without the other band to support it. As Jefferson Airplane wound down and stopped touring after the Fillmore East shows, Hot Tuna—for whom live performance was always of prime importance—became an independent group consisting of Jorma, Jack, new drummer Sammy Piazza, and Papa John, moving fully to the electric band format. This line-up was first documented on the album First Pull Up, Then Pull Down (1971), which was recorded live at the Chateau Liberte (a club favored by the band) located in the Santa Cruz Mountains near Los Gatos, California. The group also appeared on three tracks from Papa John Creach's debut solo album as well as "Walking the Tou Tou" from his second album Filthy!. The studio albums Burgers (1972) and The Phosphorescent Rat (1973) followed, with Papa John leaving before Rat was recorded. These two albums featured compositions mainly of Kaukonen original material and included some of the guitarist's most delicate and poetic works. David Crosby sang supporting vocals on the Burgers track "Highway Song," and keyboard player Nick Buck made his first appearance on what would become a semi-permanent tenure during the 1970s. 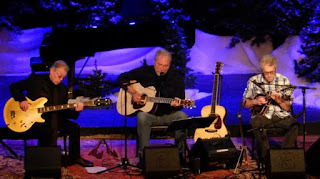 As the band prepared for its 1974 tour in support of Rat, Jorma decided to have the band perform acoustic on the next tour, and Piazza was let go. Kaukonen and Casady then proceeded to record Kaukonen's first solo album, Quah. July 1974 marked a departure from their primarily bluesy, acoustic style when Hot Tuna dropped their acoustic sets completely and morphed into a heavy rock band. The albums America's Choice (1975), Yellow Fever (1975), and Hoppkorv (1976), showcase a power trio with the addition of new drummer Bob Steeler. Jeff Tamarkin's liner notes on the RCA "Platinum Gold Hot Tuna Collection" refer to this trilogy as the band's "rampage years". Kaukonen is quoted as saying the change of focus was due to the fact "it was just fun to be loud". His electric guitar playing was multi-layered and used a wide array of effects, especially the Roland Jet phaser and is evidenced by the solos on "Funky #7" and "Serpent of Dreams" on America's Choice. This style continued on Yellow Fever, on tracks such as "Song for the Fire Maiden," "Sunrise Dance with the Devil," and the closing number "Surphase Tension." Hot Tuna live performances during this period were typified by free-flow improvisational jams and very long sets (up to six hours uninterrupted) with extended versions of their studio material. The unreleased live WNEW FM recording at the New York Palladium in November 1976, for example, features a 16 minute version of "Invitation" ( from America's Choice). However, when new producer Harry Maslin had the band in the studio, he did not appreciate Jorma and Jack's free-form jam style and held them to a more traditional rock format and had them include several cover songs. In 1977, Jorma re-added an acoustic portion of the show by performing solo sets before the band would perform. These combination sets were documented with the double live album Double Dose in 1978 containing one side of Jorma's acoustic performance and three sides of the electric band. This line up stopped touring at the end of 1977 and performed their final concert at the Palladium in New York City on November 26. This concert featured "Buffalo" Bob Roberts on saxophone. Casady and Kaukonen went their separate ways and pursued short-lived careers in the new wave bands SVT and Vital Parts, respectively. Grunt Records released the compilation Final Vinyl in 1979 to signify the end of the band. Rhythm guitarist Michael Falzarano and drummer Shigemi Komiyama joined core members of Hot Tuna in a first reunion tour in 1983. Kaukonen decided to play very few Hot Tuna songs and instead concentrated on newer material which changed the band to a hard rock and heavy metal direction. The band was not well received at all and fans walked out of shows. Hot Tuna was reformed again as an acoustic band in 1986 performing classic material, with producer Joey Balin joining on rhythm guitar until 1987. Kantner joined the band in 1987 and 1988 adding some old Jefferson Airplane songs to the setlist. Grace Slick showed up on stage as well for one show at The Fillmore in March, 1988. The band continued into 1989 and Kaukonen and Casady joined the 1989 Jefferson Airplane reunion album and tour, performing acoustic Hot Tuna sets in the middle of each show. 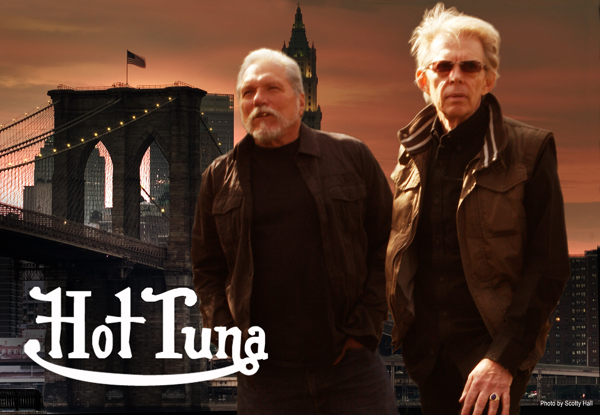 At the end of the Airplane tour, Hot Tuna resumed their electric performances adding drummer Joey Stefko and rhythm guitarist Michael Falzarano to the lineup. New Yorker Harvey Sorgen soon replaced Stefko on drums and Galen Underwood joined on keyboards for their first album of all new material in almost 14 years, 1990's Pair a Dice Found. Kaukonen and Falzarano both contributed original songs. 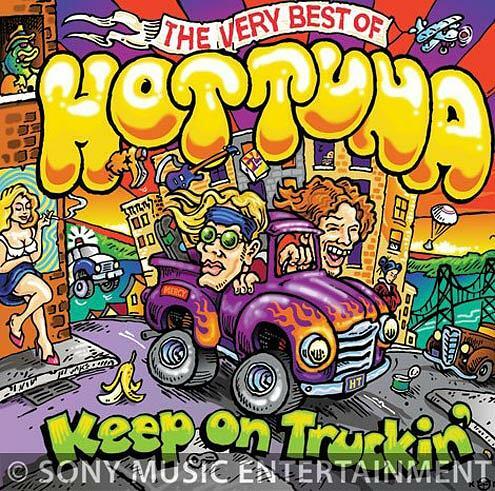 Throughout the 1990s, Hot Tuna again alternated between acoustic and electric styles. The two Sweetwater albums were predominantly acoustic sets with guests; Bob Weir from the Grateful Dead, singer Maria Muldaur, and ex-Rod Stewart, Jefferson Starship keyboards player Pete Sears; the latter was to join the group on a permanent basis during the decade. The 1997 release Live in Japan was in many ways reminiscent of the very first Hot Tuna album, having a minimalistic sound and being recorded live at a tiny venue (Stove's in Yokohama). Falzarano stayed with the band until 2002 when he left to release and promote his solo album The King James Sessions, which also featured Pete Sears. 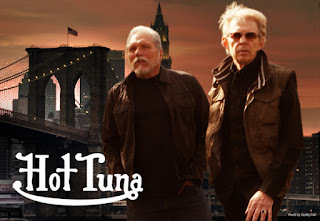 Other musicians have come and gone over the group's several incarnations, as Hot Tuna has always been a fluid aggregation, but the name "Hot Tuna" has essentially become shorthand for "Jack Casady, Jorma Kaukonen." From 2004–2009, they have toured with multi-instrumentalist Barry Mitterhoff and drummer Erik Diaz, and have played electric shows with guitarist G. E. Smith. In April 2006, Hot Tuna appeared at Merlefest, America's largest folk music festival. In 2007, they played at Bonnaroo. In August 2009, Skoota Warner officially joined the band as drummer. In November 2010, Hot Tuna performed as a semi-acoustic trio: Casady, Kaukonen, and Mitterhoff at a Midnight Ramble at Levon Helm's Barn studio in Woodstock, New York. For the first half of 2011, blues harmonica player Charlie Musselwhite toured with them. Throughout their history, Hot Tuna garnered much fan support based on their pro-taping policy, allowing fans to record their live shows. In July 2006, the band changed their stance and no longer permit taping. In November 2010, Kaukonen announced on his blog that Hot Tuna had begun recording its first studio album in 20 years. The album Steady as She Goes was released by Red House Records on April 5, 2011.